Dr. Charles Chase, vice president of pharmaceutical development, leads all of Elicio’s CMC operations and supply chain activities, delivering phase-appropriate clinical trial materials to enable approval and commercialization of Elicio’s NME’s (new molecular entities). 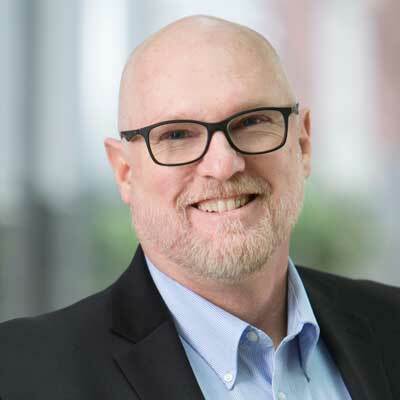 He brings to this position over 20 years of process research and development expertise with extensive experience in synthesis and route optimization, CMC/CMO management and the regulatory approval process. Prior to joining Elicio, Dr. Chase was a senior principal scientist at Eisai Inc. There, he served as a leader of the global CMC team for Halaven® (eribulin mesylate), a fully synthetic analog of the highly complex marine natural product Halichondrin B, used in the treatment of metastatic breast cancer and of inoperable liposarcoma. He also directed Phase 2/Phase 3 CMC work on avatrombopag, approved in 2018 for certain conditions leading to abnormally low platelet levels. Dr. Chase has been awarded 16 patents and has authored over a dozen peer-reviewed journal articles as well as a chapter in Marine BiomedicineFrom Beach to Bedside. He completed an NIH Fellowship at Pennsylvania State University, and holds a doctorate in synthetic organic chemistry from the University of Utah. He earned a bachelor of science degree in chemistry from the University of Colorado.